The Pista is a racing helmet. 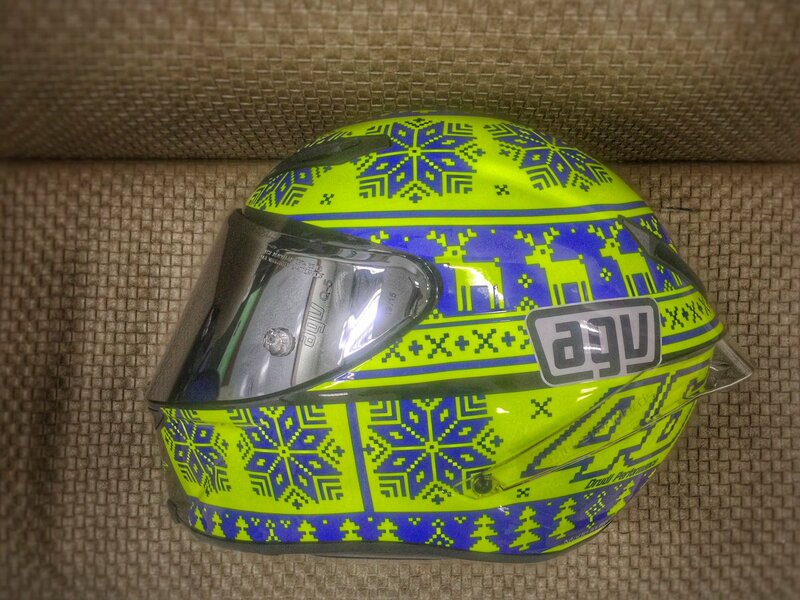 Valentino Rossi wears this in the GP races. That’s why it doesn’t come with any of the creature comforts you’d expect from a touring helmet. The vents have rubber plugs that can be put in or out. The Corsa is the street-friendly version of the Pista. It’s cheaper, almost as light, but has some better features. Both helmets use the same kind of shield, so swapping between them is fairly easy. 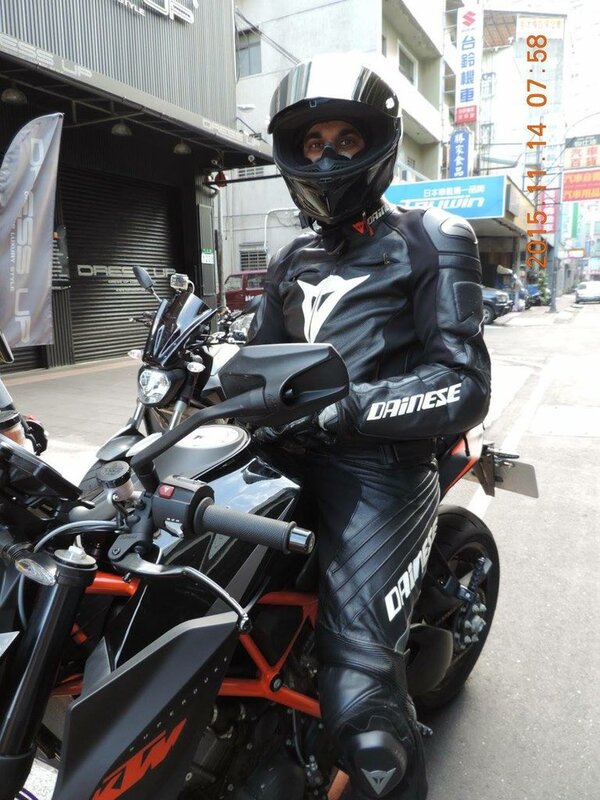 The Pista GP has been my go to helmet when going on rides on my KTM Super Duke for the last year. I recently got a 2015 Corsa Winter Test to replace an old modular helmet for my daily commuting. I’ve logged almost 5,000km with them. Here’s what I think. The Corsa and Pista’s weight difference is negligible, but there are some differences. They have similar paint schemes. Most of the VR and GP colorways are very bright and visible. However, there are some more matte and interesting schemes. The Pista has a Mimetica scheme. It’s basically urban cammo. It looks very good, because they play off the carbon fiber weave. I got the plain glossy carbon fiber. It’s very nice and stealthy. I’m not really a fan of bright colorways, but I have to say that as soon as I saw the 2015 Winter Test last year, I knew I would get it. Getting a limited paint scheme on a Pista is a non-started. It boosts the already high price into the stratosphere. However, on a Corsa, it only adds $150 to the base price. 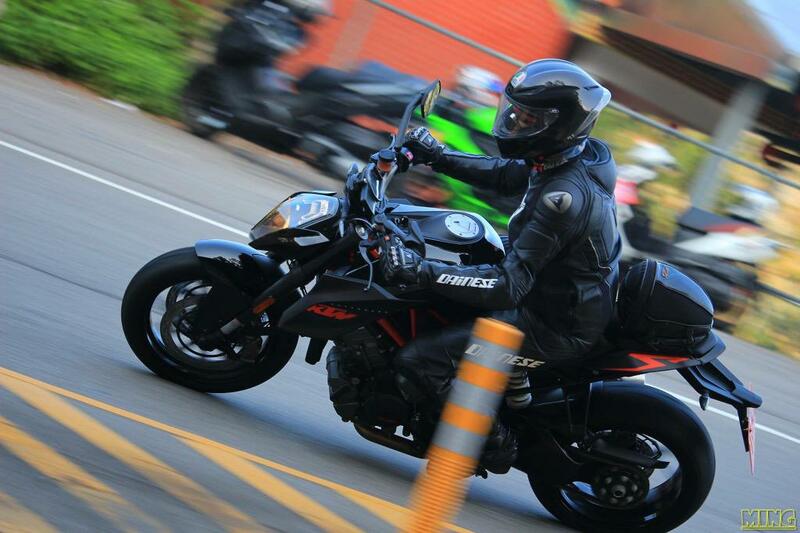 Changing from a typical modular or commuting helmet to a more racy helmet can add some problems. For me, changing shields was a priority. I leave mornings and come home at night. Sometime before the sun sets, I need to change visors. While it’s not a big problem, it does take a few minutes, especially on a tinted visor. Thankfully, the Corsa and Pista GP share the same visors, so I can swap between both helmets and not worry. Some mornings, I don’t have the time to swap visors, so I just travel with the shields. For now, it’s working out, but I’ll have to find a helmet bag of some kind. I tend to take my helmet with me wherever I go. The vents on the Corsa can be open and closed. The Pista has these inserts that you need to take with you in case of the rain. I’ve had the Corsa out in the rain before. The visibility is still astounding. All that’s left is to get a Pinlock lens and maybe a yellow shield for night visibility. In the Pista, I’ve sometimes not had the inserts with me in the rain. It wasn’t that much of an issue. However, I can see it being a problem over time, if you’re commuting with it. The most interesting thing about the Corsa and the Pista is the field of vision. You feel like you’re wearing a jet helmet. You can see very well. Since you can see more, it also makes you ride faster. This can be both good and bad. Another finicky thing is that now I am wearing a balaclava no matter what the temperature. 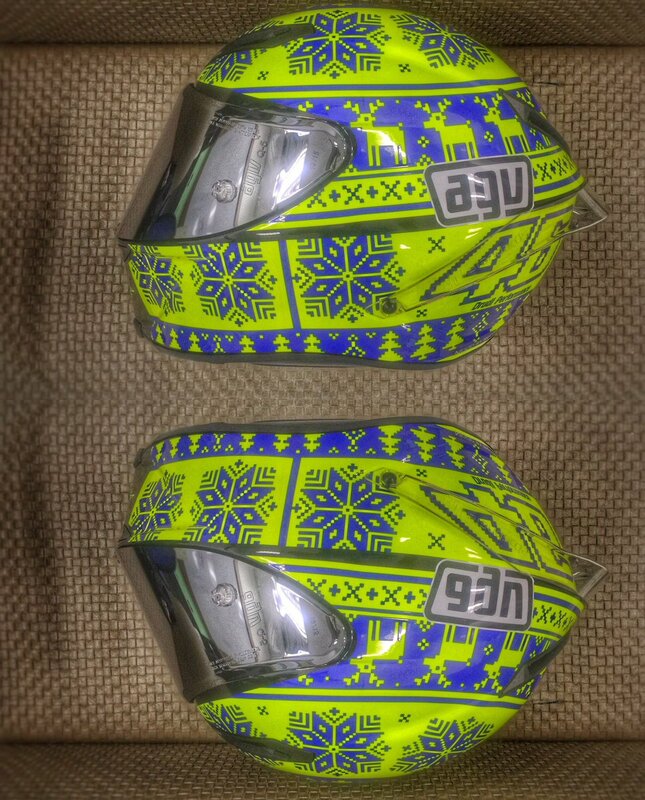 I didn’t do this for my old helmet. I always did this with my Pista. I have been doing this with the Corsa. It’s working out for now. It does add a few more minutes to my routine, however I feel that the Corsa is definitely worth the extra effort. Also, no matter what the temperature outside, even if it’s a balmy 37C, I have no problem dealing with the heat. Both the Corsa and the Pista have the same problem with the visor. There are no notches on it, so it’s either open, completely closed or barely closed. Initially, this seemed like a big problem, but honestly, it hasn’t bothered me that much. There is plenty of venting in this helmet. Once you get up to speed, say 80-100kph, there is plenty of wind to cool you down. Initially, I wanted to use my AGVisor daily, but it stopped charging right before I got the Corsa. I returned it and it’s getting repaired. I find that the AGVisor is too finicky to use every day. When the e-ink is off, the shield still has a tint. It’s light, but not completely clear. I wouldn’t purchase the AGVisor again. I think these helmets could do with fast polarizing lenses, but I haven’t found any. I have the Pista in size Asian XL and the Corsa in Euro XL. The fit of the Asian XL is tighter. I was worried about my glasses. That’s not an issue with the Euro XL. You just have to put them on after you put the helmet on. Overall, I like the Corsa a lot. I’ve been using it every day since I got it. It’s a great helmet, but you definitely need to take care of it. I would never leave it hanging from my bike. On the scooter, if there’s room, I’d put it in the boot. For now, I have been carrying it around mornings. In afternoons, I just leave it in the lounge at work.